The United States is ready to engage in talks with North Korea "immediately," U.S. Secretary of State Mike Pompeo says, with the aim of completing North Korea's denuclearization by January 2021. The United States is ready to engage in talks with North Korea "immediately," U.S. Secretary of State Mike Pompeo said on Wednesday, with the aim of completing North Korea's denuclearization by January 2021. Pompeo's announcement demonstrated the Trump administration's apparent eagerness to seize on commitments made by North Korean leader Kim Jong-un at a summit with South Korea, even as critics said they did little to put Pyongyang on the course for irreversible denuclearization. The sudden return to diplomacy contrasted with weeks of doubts within the administration about North Korea's intentions to negotiate in good faith. The January 2021 target date was the most specific deadline in what is expected to be a long, drawn-out process. In late August, Trump abruptly cancelled Pompeo's planned trip to North Korea, publicly acknowledging for the first time that his effort to get Pyongyang to denuclearize had stalled since his historic summit with Kim in Singapore in June. Less than a week later, Trump hailed his personal relationship with Kim as "a very good and warm one." Pompeo said he had invited North Korean Foreign Minister Ri Yong-ho to meet in New York next week where they are both due to attend the UN gathering of world leaders. 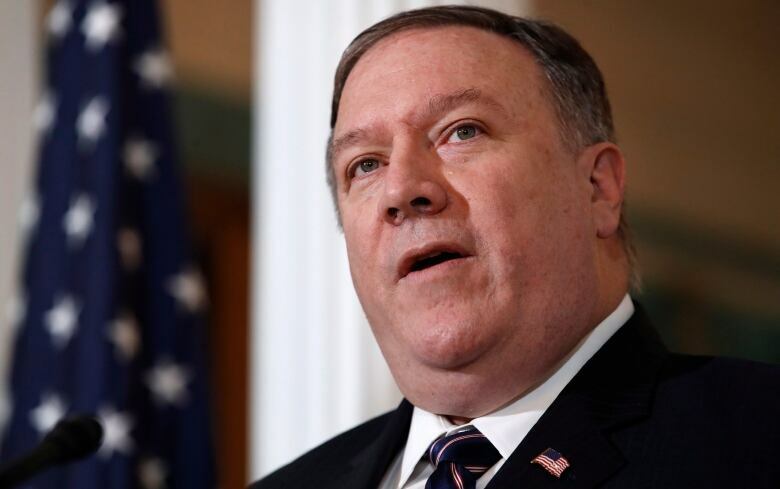 The United States has also invited North Korean representatives to meet with the U.S. special representative for North Korea, Stephen Biegun, in Vienna at the "earliest opportunity," Pompeo said. Pompeo cited the North Korean leader's decision to "complete the previously announced dismantlement of the Tongchang-ri site in the presence of U.S. and international inspectors as a step toward the final fully verified denuclearization of North Korea." "On the basis of these important commitments, the United States is prepared to engage immediately in negotiations to transform U.S.-DPRK relations," Pompeo said in a statement, referring to North Korea by the initials of its full name. North Korea's pledge at a summit with South Korean President Moon Jae-in in Pyongyang drew an enthusiastic response from Trump, even though some U.S. officials and experts fear a ploy to weaken Washington's resolve and its alliance with Seoul. In a joint statement after the summit with Moon, Kim pledged to permanently abolish North Korea's key missile facilities in the presence of foreign experts. He said he was also willing to close the country's main nuclear complex — but only if the United States took unspecified reciprocal action. Speaking ahead of Pompeo's announcement, Trump welcomed Kim's pledges, calling them part of "tremendous progress" with Pyongyang on a number of fronts, and hailing "very good news" from the summit between the Koreas. "He's calm, I'm calm — so we'll see what happens," Trump told reporters, referring to Kim, whom he met at an unprecedented summit in Singapore in June. "It's very much calmed down," added Trump, who last year engaged in a war of rhetoric with Kim in which he threatened to destroy North Korea. Analysts had said Kim's pledges could inject new momentum into stalled nuclear negotiations between Washington and Pyongyang and lay the groundwork for another Kim-Trump meeting. Trump has questioned the rationale and cost of keeping 28,500 U.S. troops based in South Korea. Pyongyang has long sought their withdrawal. Speaking at a joint news conference in Pyongyang, the two Korean leaders agreed to turn the Korean peninsula into a "land of peace without nuclear weapons and nuclear threats." Kim pledged to work toward the "complete denuclearization of the Korean peninsula" during two meetings with Moon earlier this year and at his summit with Trump in Singapore. 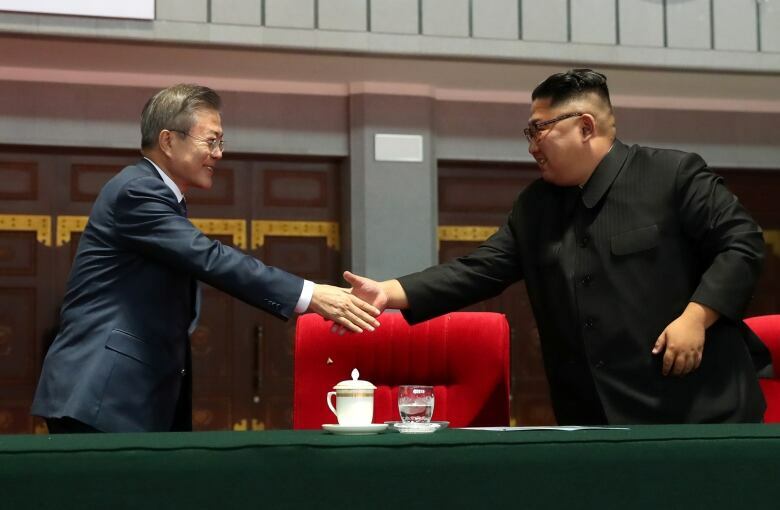 Vipin Narang, an associate professor of political science at the Massachusetts Institute of Technology, tweeted that the Moon-Kim summit had made the Korean peninsula safer. "But it is no closer to North Korean disarmament," he said. Washington has demanded concrete action toward denuclearization, such as a full disclosure of North Korea's nuclear and missile facilities, before agreeing to key goals of Pyongyang, including an easing of international sanctions and an official end to the Korean War. 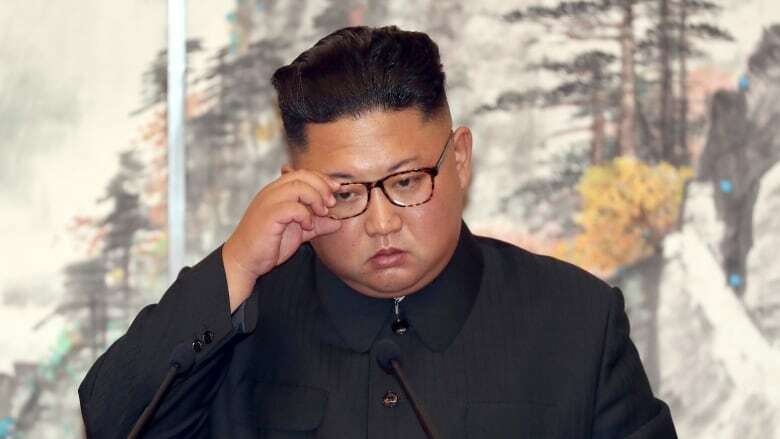 Although North Korea has unilaterally stopped nuclear and missile tests in the past year, it did not allow international inspections of the dismantling of its main nuclear test site in May, drawing criticism that its action was for show and could be easily reversed. As a next step, North Korea will allow experts from "concerned countries" to watch the closure of its missile engine testing site and launch pad at Dongchang-ri, according to Kim and Moon's joint statement.